Record-breaking snowfall in Pennsylvania earlier this week turns out to be another symptom of the earth heating up at record-breaking speeds, according to government scientists, while President Donald Trump thinks global warming could help eradicate the current cold snap. 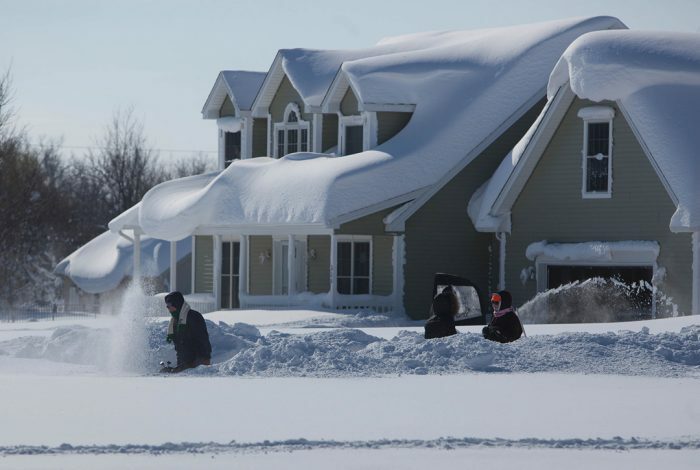 The city of Erie was pummeled with 34 inches of snow on Christmas Day — an all-time daily snowfall record, beating the previous mark of 20 inches that had stood for over 60 years. Another 24.5 inches had fallen by Tuesday night, bringing the total since December 23 to more than 63 inches. Why did so much snow fall? And does Trump have a point — does all this snow mean our climate crisis is over? The National Oceanic and Atmospheric Administration (NOAA) is the arm of the government that helps Americans “make decisions on how to manage climate-related risks and opportunities they face,” they say on their website. WhoWhatWhy reached out to them for an answer. Normally, when air this cold arrives, much of Lake Erie is frozen solid, so the cold air would pass across the lake surface without gathering up much moisture. 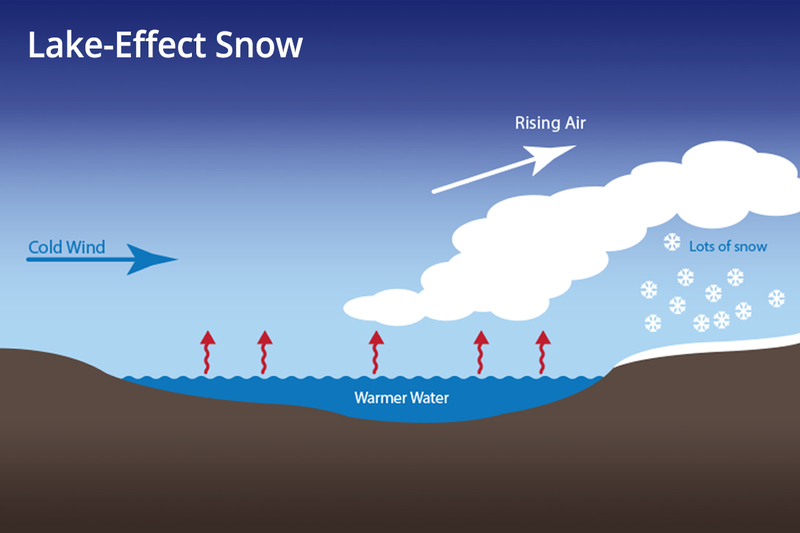 This year, the air drew up moisture from the warmer water — which then fell as masses of snow. “If the lake had been frozen” — as it usually is at this time of year — “this weather event wouldn’t have occurred,” said Crouch. Global Warming? But It’s Freezing Cold! So the blockbuster snowfall in Erie was caused by climate change. But how could global warming possibly have anything to do with the frigid temperatures settling in to most of the northern US? “Freezing” doesn’t seem to do justice to the temperatures that have enveloped the whole northeast of the country this week. Records were smashed in the midwest, where the temperature in International Falls, Minnesota, dipped to 37 degrees below zero, breaking a 93-year old record. And there’s more to come — the whole nation is in for an icy start to 2018. Surely this cold snap can give us hope that the scariest effects of global warming are overblown? Sadly not. Crouch explained that “climate is defined as the average of conditions over a long period of time, and that is what is changing.” We will still have extreme winter weather events, but they will be less cold and will not last as long. When the year’s weather is looked at in totality, climate change and its devastating impact on the entire world comes into clear focus: the epic hurricane season which decimated Puerto Rico and left Houston and its surroundings underwater; wildfires still burning in California; flooding in Bangladesh; drought in Somalia, Ethiopia, and the Middle East; and the brutal summer heatwave in Europe. So does climate change mean that weather will be as wild as this every year? Crouch said it is difficult to tie the changing climate to individual extreme events. But the upward trend in average temperatures “creates the conditions that make extreme events more likely.” While Crouch’s team at NOAA cannot predict the future, they are collecting evidence from the past to help us understand what the world is in for. NOAA releases an annual report that records extreme events and explains how much of a role climate change played in each event. The trend is not hopeful. 2017 was a bad year for weather. We should strap ourselves in for more of the same. Or worse. Related front page panorama photo credit: Adapted by WhoWhatWhy from snow (Kraken 42nd / YouTube).